At the end of the day, Ranger students need to be able to run -- and a key part of your training should be mixing up a variety of distances, times and terrains. First, regular running will turn whatever body type you have into the "lean-and-mean" variety, which is exactly what you want for the low-calorie, high-output days you'll have to handle for two (or more) months. If you have a ton of muscle, expect to lose much of it during Darby, and expect to feel the loss. Once you start smelling the ammonia in the field, you'll wish you had leaned up more beforehand and made your muscles as efficient as possible. Second, running prepares your body for the stresses of long days on your feet, and for the slow but consistent energy output that Mountains will demand from your legs. You want to build up the stamina of your lower body, and a combination of rucking and distance running is just the thing to do it. Third, running is an easy metric to keep you on a training schedule. As you follow the training schedules on this site, you'll see that they require regular runs of different durations and distances. Rather than just run on a track or a fixed path, why not get out, mix up the terrain, and explore? This is where a GPS watch comes in. Although there are tons of GPS watches to choose from (Garmin, Timex, and Nike are the top brands), I strongly recommend the Nike+ Sportswatch. The simple reason is the online tracking program. 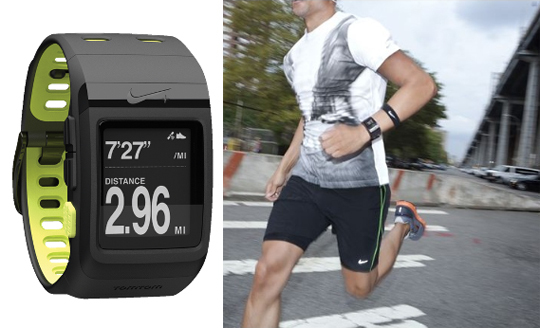 After each of your runs, you can sync the watch to Nike+ Online, and it will track everything about the run -- the path you followed, the average pace, the distance, etc. You can even add notes to each run, and can export the runs to share the path with others. Even as you run, the watch can provide you with positive feedback, letting you know when you have set new distance or pace records. For the Ranger student in training, this can be helpful during those long solo runs that none of your buddies want to do with you. At the end of the day, a GPS watch is not a necessity -- but it sure is a helpful tool. ONE IMPORTANT NOTE: You cannot bring a GPS watch to school with you! Check this packing list for recommendations on items for school.